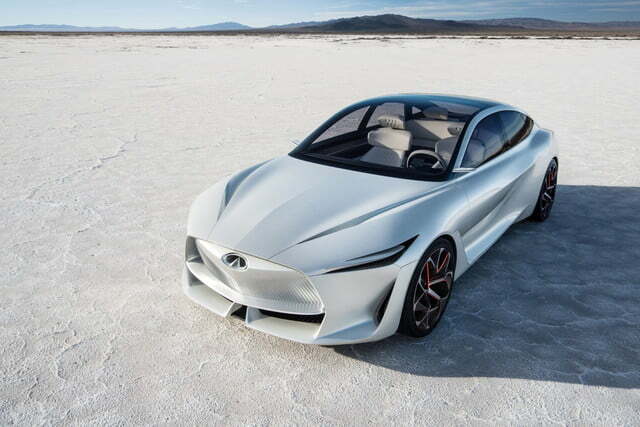 With its 2018 Detroit Auto Show concept car, Infiniti is looking to corner the market on buzzwords. 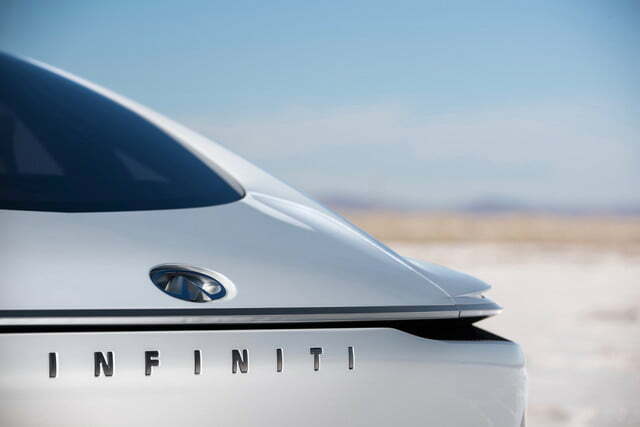 The Infiniti Q Inspiration concept previews the next generation of the Nissan luxury brand’s sedans, with a design based on fuel-efficient powertrains, connectivity, and autonomous driving. 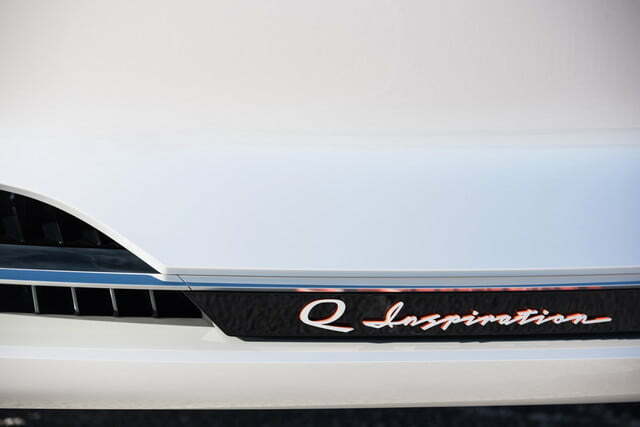 The Q Inspiration concept is a four-door sedan with a low roofline meant to give it a coupe-like look. 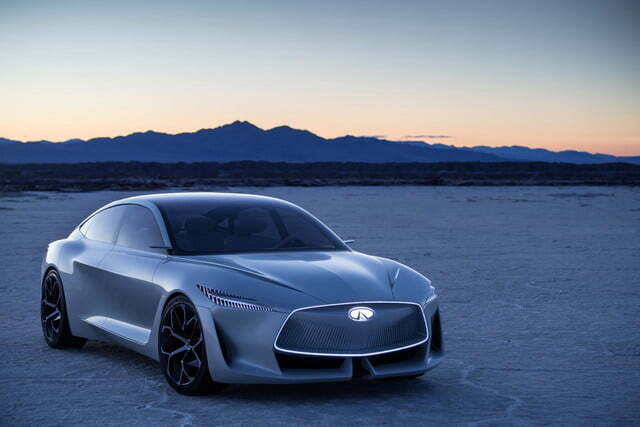 You could say it’s Infiniti’s answer to the Audi A7, Mercedes-Benz CLS-Class, or Porsche Panamera. 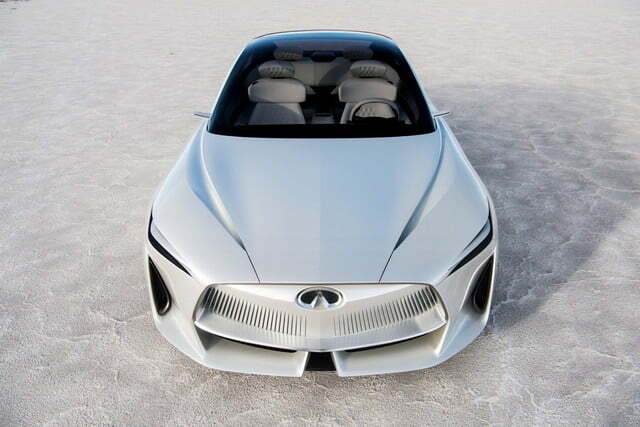 But The Q Inspiration has a distinctly Infiniti look, with a front fascia and sculpted side vents that look like they were taken straight off the Q60 coupe. The texture of the grille minimal headlights give the car a somewhat odd, alien-looking appearance, though. On the inside, each occupant gets their own touchscreens. The passengers’ screens include a “meditation-regeneration mode” that reduces the amount of information displayed, and offers guided meditation. 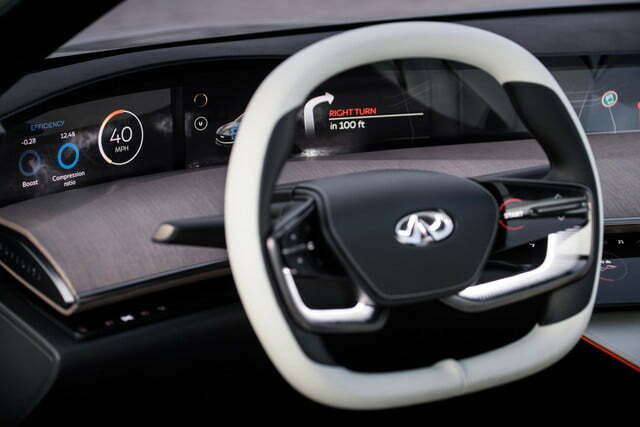 They can also monitor each passenger’s “biometrics,” according to Infiniti. Besides tech, the cabin also features Kabazakura wood trim. It not only provides a high-quality feel, but also helps disguise the infotainment touch points and screens scattered throughout the cabin. 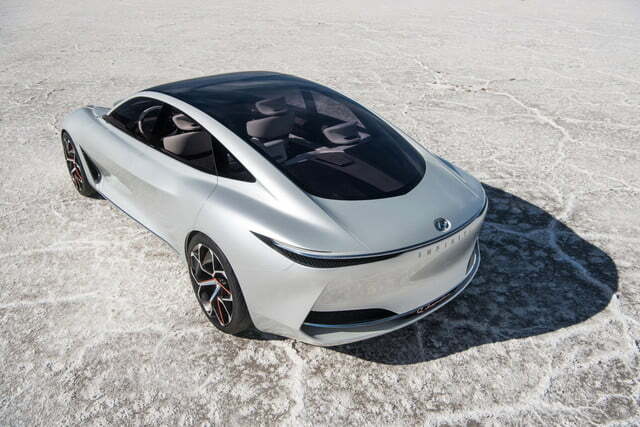 The concept car is powered by a VC-Turbo four-cylinder engine similar to the one used in the QX50 crossover. 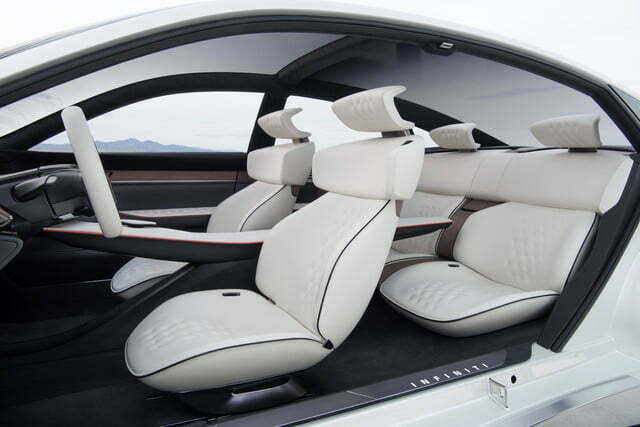 The engine’s compact dimensions allowed designers to open more interior space, Infiniti said. The “VC” in “VC-Turbo” stands for “variable compression,” meaning the engine can alter its compression ratio to prioritize power or fuel economy. 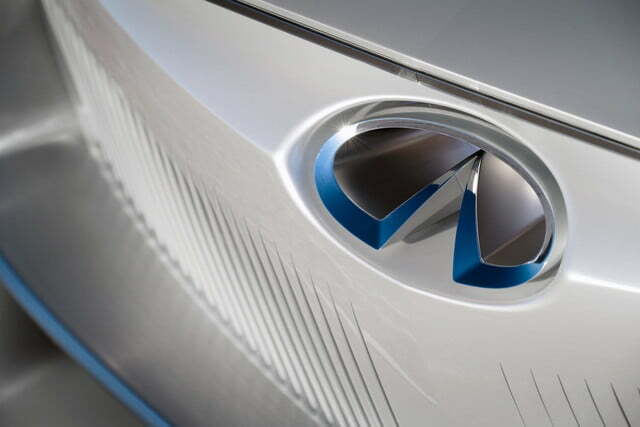 It’s how Infiniti plans to keep the internal-combustion engine alive in an age of electrification. 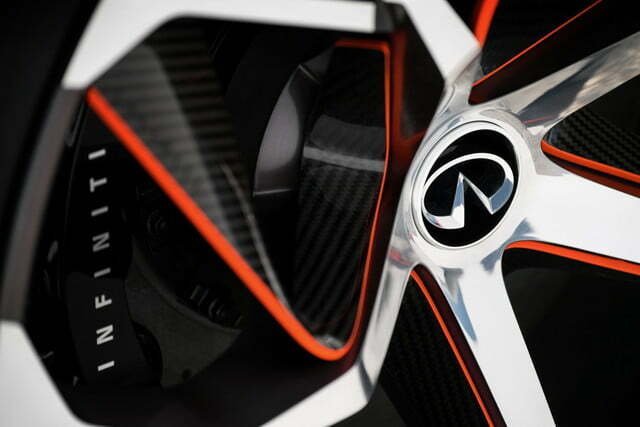 The Q Inspiration concept’s VC-Turbo engine is linked to an all-wheel drive system that sends most of its power to the front wheels. Power can be channeled to individual rear wheels as needed. Infiniti did not quote specifications, but the 2.0-liter VC-Turbo engine in the production QX50 makes 268 horsepower and 280 pound-feet of torque. 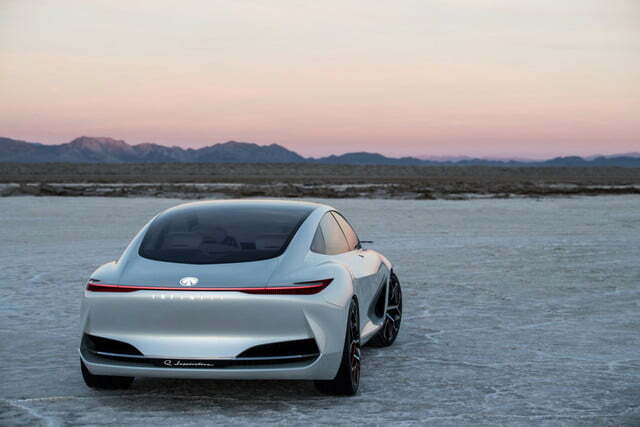 Like seemingly every concept car these days, the Q Inspiration was also designed with autonomous driving in mind. Infiniti does plan to offer future autonomous production cars, but also doesn’t want to replace human drivers. 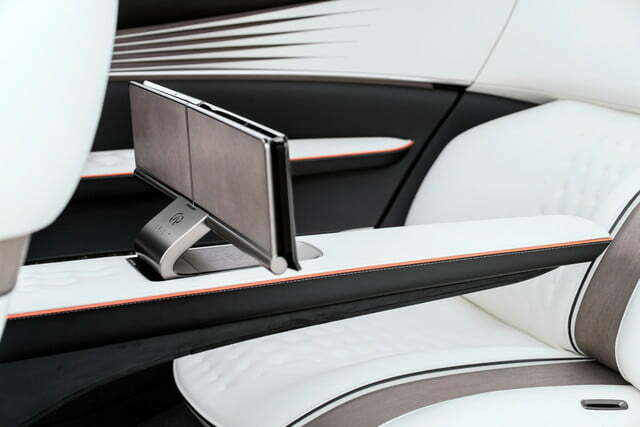 An autonomous system would act as a “co-pilot,” that assists drivers in “identifying and responding to other road users and potential hazards,” according to an Infiniti statement. 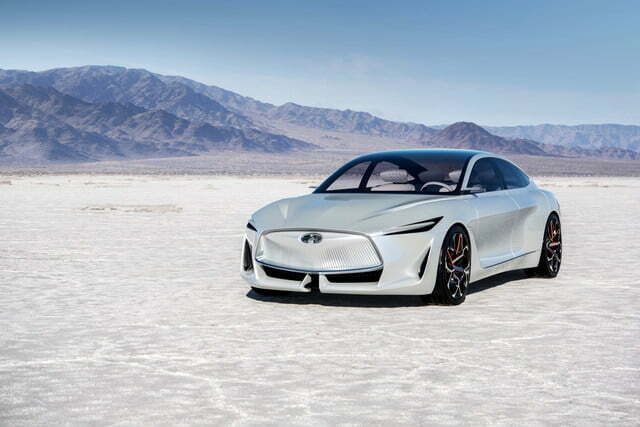 The Infiniti Q Inspiration concept will not go into production, but it previews the direction Infiniti will take with its future models. Expect similar styling, VC-Turbo engines, and autonomous-driving tech to become regular features of cars from Nissan’s luxury brand over the next few years.